↑ अ आ "क्षेत्री जाति:एक परिचय". अभिगमन तिथि 2017-03-10. ↑ अ आ Hagen, T.; Thapa, D. (1998). Toni Hagen's Nepal: The Kingdom in the Himalaya. Himal Books. अभिगमन तिथि 2017-06-11. ↑ अ आ Singh, K.S. ; Anthropological Survey of India (2005). People of India: Uttar Pradesh (3 pts.). 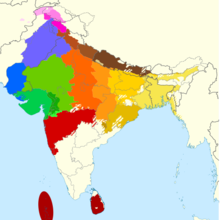 Anthropological Survey of India. आई॰ऍस॰बी॰ऍन॰ 9788173041143. अभिगमन तिथि 2017-06-11.